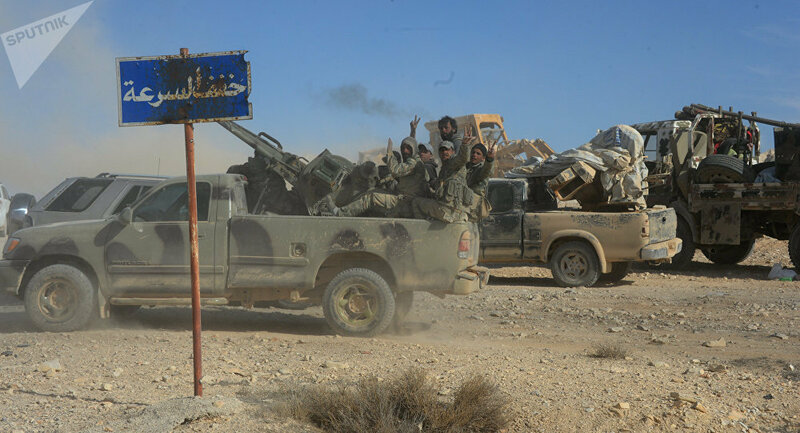 The SANA informed that the army launched intensive operations accompanied with artillery strikes against terrorist positions in the area of Housh Qbaibat. The agency also reported of a military correspondent from Syria Hassan Badran killed in Eastern Ghouta while being on duty. Badran participated in covering the battles of the Syrian Arab army and the allied forces against the terrorist organizations in a number of Syrian areas. Meanwhile, the Syrian government troops have seized a large batch of weapons and ammunition bound for militants of the Jabhat al-Nusra* in Eastern Ghouta, according to the SANA. "In cooperation with some residents of Ghouta and based on the accurate intelligence information that confirmed an attempt to transfer weapons and ammunition to terrorists in Eastern Ghouta, one of the security forces' patrols ambushed one of the possible directions of the terrorists' way to Ghouta," an unnamed Syrian officer told the SANA news agency. The officer stated that the military managed to capture two trucks with ammunition and weapons, including produced in the United States, as well as some drugs, medical equipment, and satellite communications equipment. 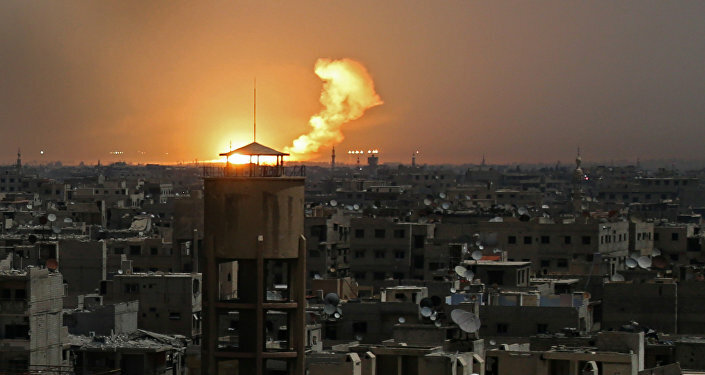 On Wednesday, Russian Foreign Ministry's spokeswoman Maria Zakharova said that in response to the daily bombardment of Damascus central areas by terrorists in Eastern Ghouta, the Syrian army launched an operation in the area to eliminate the threat to the security of civilians. Eastern Ghouta was seized by militants in 2012. According to Syrian Army's estimates, there are 10,000-12,000 militants in the region. Despite a recent UN resolution, adopted on February 24, the fighting in the area has not stopped, even with the humanitarian pause in place, the Russian Defense Ministry's center for Syrian reconciliation said. *Jabhat al-Nusra (also known as al-Nusra Front) is a terrorist group banned in Russia.